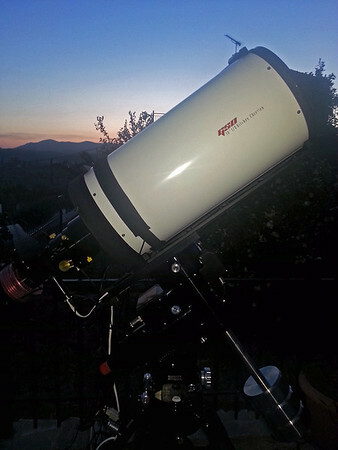 Astrophotography takes place in my country home, 3 Km away from Gythion, Greece. It’s a seaside place, so the altitude is nearly zero. Seeing is good most of the times. Sky is dark (mag 5+) and transparency is really good. Light pollution is very low and in the north, below 15 deg. At spring & summer I drive a 2h distance to Mt. Parnon up to 1430m. There, the seeing is very good and the sky is really dark. (mag6+). 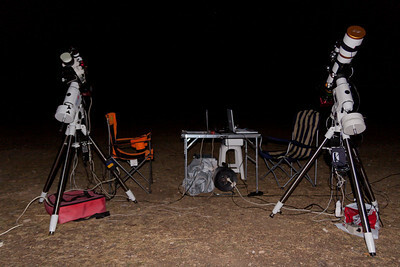 Most of the times we camp for a week in the mountain and do some really good astrophotography. 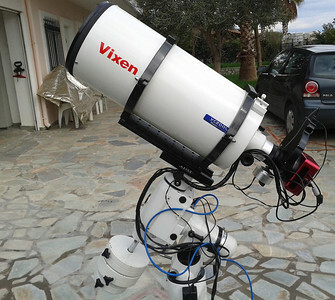 Vixen VC200L was a great telescope. I used it at 1800mm /f9 and at 1280/f6.4 (having the vixen reducer). 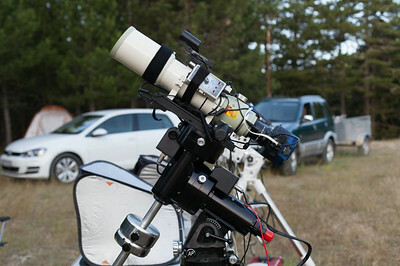 Guiding is performed by another camera (Starshoot Autoguider) attached to an off-axis guider (TS-OAG9). 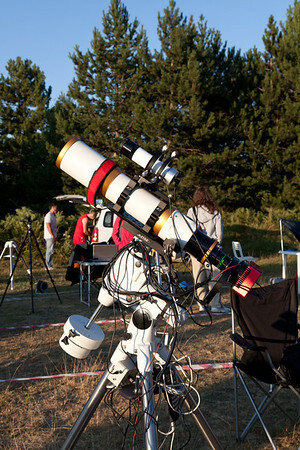 Off axis guider usage is critical in order to avoid any flexure and have good and not blurred images at 1800mm. 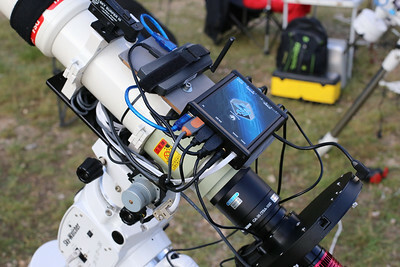 For wide-field imaging I currently use the Takahashi FSQ-85ED. 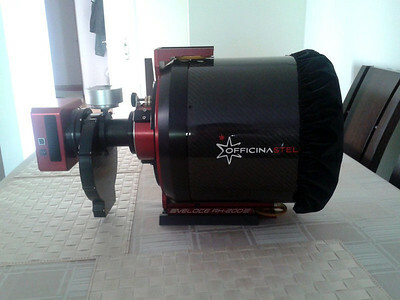 A new baby came in my possession and its name is Officina Stellare Veloce RH 200. 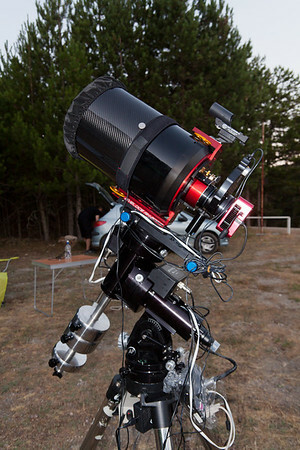 It’s extremely fast f/3 , 8”, wide field Riccardi-Honders Astrograph. 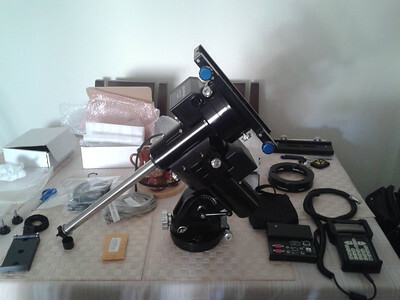 Skywatcher HEQ5 is the german equatorial mount i use for the whole setup. 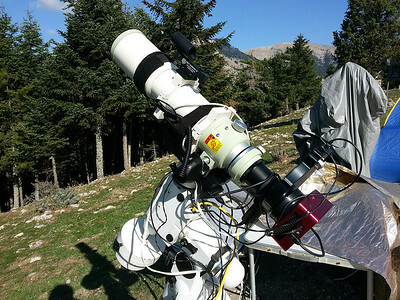 Mount tracking needs guiding and with a photographic payload of 14kg it was nearly a miracle that i could get pictures at 1800mm. Some mods/tuning in the HEQ5 have done the job ;) (lubrication / gears etc).